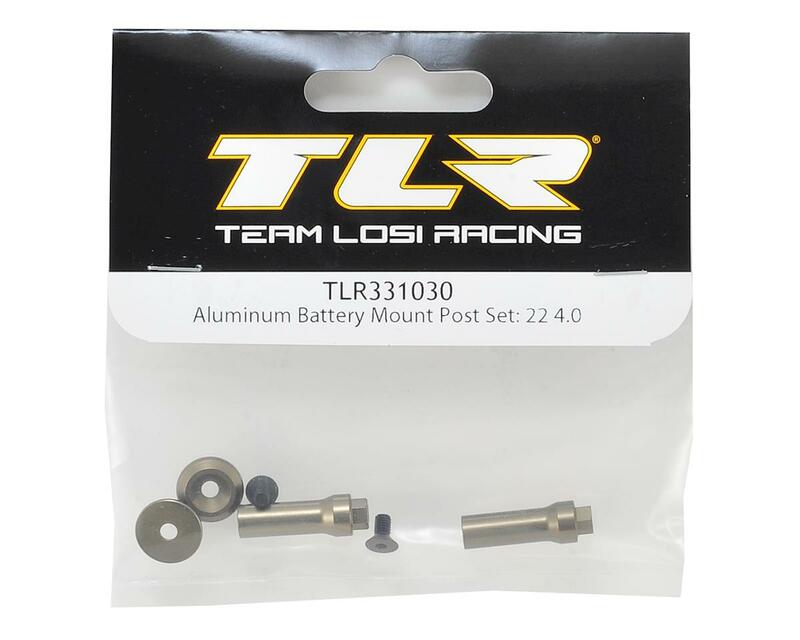 Team Losi Racing 22 4.0 Aluminum Battery Mount Post Set. 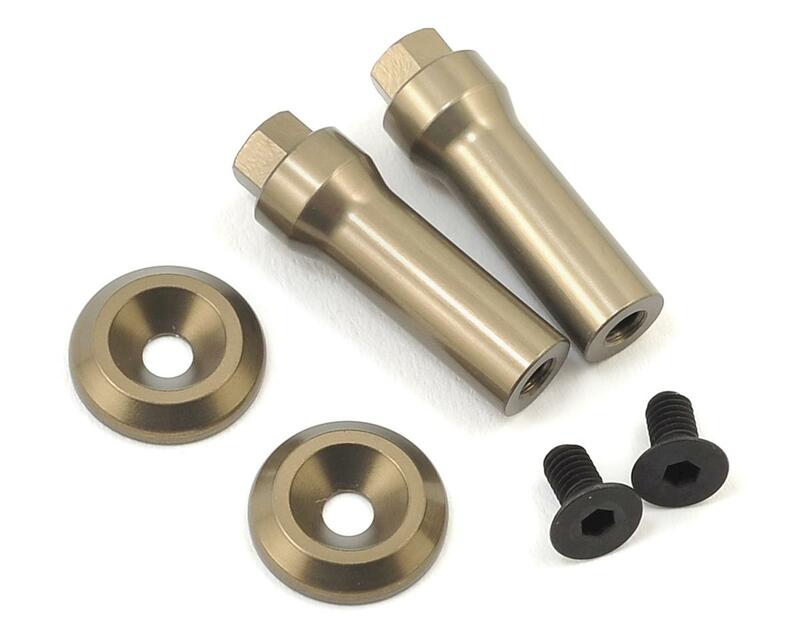 These optional battery posts are a direct drop fit upgrade for the posts included with TLR231067. These will help to provide a more secure hold on the battery strap. Package includes two battery posts, two counter sunk washers and hardware.